On 12 Sep 2012, a representative of 4WD Queensland submitted E-Petition 1975-12 to the Queensland Parliament in order to address misalignment and other issues with the state’s modification legislation. However, being reduced to a maximum 250 words for the petition, and no engagement from either the serving Transport Minister or Department, the response missed the point, and Department introduced additional layers of legislation (QCOP) which further de-harmonised policies of other states. The Newman government came to power using the “Toughest Anti-Hooning Laws in Australia” as one of their key election promises. Whilst 4WD Queensland supports Anti-Hooning measures, we argued that “Type 2 – Illegal Modifications” should be either removed, or only instigated when a more serious Type 1 offence occurred as a pre-cursor to initial police interaction. Unfortunately, only the QPS were allowed to provide a verbal briefing and questions to the Queensland Parliament’s “Legal Affairs and Community Safety Committee” on 13 Feb 2013. The motoring industry and enthusiast community were barred from providing verbal briefings, or to ask additional questions on record of QPS representatives. We rallied the Newman government regarding the clash of TMR vehicle modification and QPS Anti-Hooning legislation, and where invited by the Transport Minister to attend the department’s “Queensland Automotive Working Panel” in order to address some of these Press Release issues as a community representative. Unfortunately, after several meetings, we were advised by the bureaucrats who managed the working panel “the QAWP is not, and never has been a statutory mechanism for reviewing or approving vehicle legislation, standards, or policies”. During the time on the QAWP, it was clear that offroad / recreational driving was a topic they did not want to progress. We also attempted to engage TMR to become a member of the Motoring Organisation and Car Club (MOCC) meeting which were dealing with Special Interest Vehicles (SIVs – vehicles being over 30 years old). We were advised “At this time there is no capacity for additional members as membership of the MOCC forum is set through the Terms of Reference on an annual basis”. Bureaucrats again disregarded the fact that one of 4WD Queensland’s military vehicle club has over 500 members. The Australia Automotive Aftermarket Association (AAAA) has also had significant engagements with TMR (and other states) in order to showcase compliance and safety of Australian industry products. They had several industry vehicles equipped with larger 2in lifts and showcased their high-speed manoeuvrability at Brisbane’s Lakeside Park. As this testing did not include larger tyres, the bureaucrats weren’t happy with the results, and the AAAA then had to spend over $150,000 to ship several industry vehicles to America for further extensive testing on vehicle lifts, involving 2in suspension and 1in of tyres. On presenting the testing results to TMR and other states, the bureaucrats again weren’t happy as they wanted to see test results now which included Electronic Stability Control (ESC). None of these additional requirements were ever specified before any of the earlier testing, TMR just keep changing the goal posts. However, all of these Codes of Practice are located either on the TMR website (for Queensland COP), or on the Federal Department of Infrastructure, Regional Development and Cities website (National COP), and makes it difficult for the community to quickly find once source of references for modifications. The NCOP is not a federally approved standard, it was developed over a nine year period by all the state registration authorities, and is located on the federal website as “VSB-14”, purely as a single source of storage for all states; after an additional seven years, the NCOP is still not nationally aligned. Further, the QCOP references the NCOP, which in turns refers to Australia Design Regulations (ADR) when more complex modifications are required. This causes no end of confusion, particularly to the younger or less experienced motorists. As the QCOP is maintained by TMR on their website and only referenced by the TORUM, there is no requirement for TMR to have any changes to these standards, regulations, and guidelines approved by any parliamentary review process - they can be changed in-house and loaded direct to their website at any time. Type 2 Anti-Hooning offences or vehicle impoundment. “Operation Lift” is a joint QPS and TMR activity targeting modified 4WDs, however the guidelines / standards regarding ESC’s 50/75mm lift have been quietly changed by TMR without community or public announcement, there will be some motorists who are oblivious they are now driving illegally modified vehicles. 4WD Queensland re-engaged the Queensland Government and was informed about a month ago that the Transport Minister’s office will be coordinating a meeting to discuss these issues. Additionally, 4WD Queensland has been provided with a DRAFT set of TMR vehicle modification standards (LS9/LS10), which have not been communicated / engage via the 4WD community. These new draft standards are about to be released in a few weeks (straight to their website), and will void many of the QPS defect notices and infringements currently being issued under “Operation Lift”. TMR and AAAA were also in the middle of negotiations regarding additional ESC testing, yet the department moved forward with “Operation Lift” without notice, and the vehicle owners with the exact modification currently being discussed, are now being defected and fined. Additionally, if TMR and QPS know there are hundreds of thousands of unsafe and illegally modified 4WDs on Queensland roads, despite the additional testing requested of AAAA, surely there’s some statistical crash evidence the Government can supply to prove their position that modified vehicles are as unsafe as they claim them to be? When the state’s peak 4WD body and national AAAA are attempting to address issues with the Queensland Government and department bureaucrats, yet the community still gets hit hard with a massive blitz, the community has to wonder about the processes, competence and motives of the people in charge. Its clear both TMR and QPS have limited understanding on how the 4WD community rely on their vehicles in offroad conditions. This is unfortunate, as the Queensland 4WD community can be one of the best assets to help Government, Police, Fire and Rescue groups when there’s a need for large volunteer groups or specialist vehicle access and recovery operations. The Association is an accredited RTO and provides basic and advanced training to our clubs and members, which are nationally certified. Vehicle road and safety standards should be inclusive of offroad and recreational environments, not just sealed roads. While individual state registration authorities struggle to collectively provide motorists with a nationally consistent modification standard, all State, Territory and National 4WD associations have unanimously agreed the most consistent approach to national modification, is to adopt NSW’s Vehicle Safety Compliance Certification Scheme (VSCCS). The NCOP and QCOP provide strict limitations based on exact measurements, i.e. 50mm increase in tyre diameter, where the VSCCS is percentage based, i.e. owner can self-install tyres up to 7% increase in diameter, however needs engineering approval if installing tyres of 8% or more. Measurement based modifications are inconsistent across vehicle types, i.e. 50mm suspension increase on Suzuki Jimny is a significant difference to 50mm suspension increase on a Toyota Landcruiser. Due to each state running their own independent modification schemes, vehicle engineering is not accepted by registration authorities from other states, i.e. Victorian engineering certificates are invalid in Queensland, and interstate transferees such as Defence personnel, have to re-engineer their vehicles whilst moving homes. National vehicle fleet operators also have to cater for each individual government’s legislation, making large scale fleet management overly difficult. Further, vehicles travelling between states are being defected as they don’t meet the regulations of the state they’re travelling in and they’re being defected. We are already losing extensive interstate visitors to our 4WD activities in Queensland, as they know there’s a risk of defect, this is a big hit to Queensland tourism and needs to be addressed. We need a national scheme where a consumer can purchase a new vehicle in Perth, ship it to Adelaide for engine modifications, send on to Melbourne for motor work, pop it over to Sydney for suspension and wheels, then walk into a Queensland TMR office with all the certifications and get the vehicle registered; this is the 21st century. Our "Time To Align" campaign shouldn't be limited to just modifications, but road rules, license tests, speed limits, L/P plate standards, and road signage. Why are we re-inventing the wheel in each state? Unfortunately, as we’ve not been engaged by either TMR or QPS regarding “Operation Lift” and both AAAA and ourselves were making progress to address these issues via government departments, 4WD Queensland can only provide advice given the inconsistencies with VSI-G19 and the forthcoming DRAFT LS9 and LS10 standards which are about to be released. We ALWAYS recommend if you believe you have been given a defect or infringement notice which is contrary to legislation, standards, or an official website, then you should challenge its legitimacy. Note, paying a fine issued incorrectly is admitting guilt and will stay on your record for future legal proceedings. • Any vehicle owner who has been issued any defect or infringement notice where your vehicle has a maximum combination lift of 25mm tyres, and 50mm suspension fitted with ESC, to write to the “Officer In Charge” of the police station where the notice was issued, and ask for the infringement to be reviewed given TMR website gave guidance this was acceptable and has been updated without informing the general public (see reference above). • Any vehicle owner who has been issued any defect or infringement notice where your vehicle has a suspension lift up to 75mm, to write to the “Officer In Charge” of the police station where the notice was issued, and ask for the infringement to be reviewed given TMR is about to release new LS9/LS10 modification standards, allowing this lift. 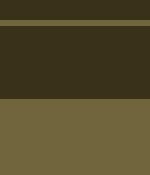 While you may have been issued a ticket where LS9/LS10 is currently 50mm maximum at the time, the fact it is due to change should have been considered / implemented before commencing “Operation Lift”; it would be unfair to release this after a defect. • Any vehicle owner who believes they were incorrectly issued an infringement notice for other reasons, i.e. change to other TMR website, we recommend contacting TMR and re-validating the infringement is issued correctly. • For all vehicle owners who knowingly drove a vehicle with modifications over the limit, pay your fine. • The Queensland Government cease “Operation Lift” until 4WD Queensland and AAAA issues are addressed. • The Queensland Government recognise the inconsistencies in different versions of VSI-G19 and commence revocation of incorrectly issued defects and infringement notices. • The Queensland Government recognise TMR are due to release LS9/LS10, provide community engagement and commence revocation of issued defects and infringement notices which would be void by new modification codes. • The Queensland Government remove Type 2 “Illegal Modifications” from Anti-Hooning laws. • Seek to align with NSW VSCCS scheme, with longer term approach to a national standard. • Establish a community-based approach to 4WD modifications and enforcement. • 4WD Queensland invite QPS and TMR representatives and ministers, to the up and coming 38th Annual Corroboree scheduled in Warwick over the Sep / Oct long weekend to learn / engage in community 4WDing. Here here!!! Very well researched and said. How can we support? Write to your local member with a personal complaint as per the outline above. If you could get an Aussie engineer to sign off on it then this would have them scratching there heads. I would like to correct some confusion in recent media reports and online posts about supposed changes to Queensland’s lift modification laws and their links to a recent police operation. No recent changes have been made to Queensland’s suspension and lift laws. To be clear: a modified vehicle registered in another state or jurisdiction can legally drive in Queensland, provided that vehicle continues to comply with the modifications that were approved in that state or jurisdiction. 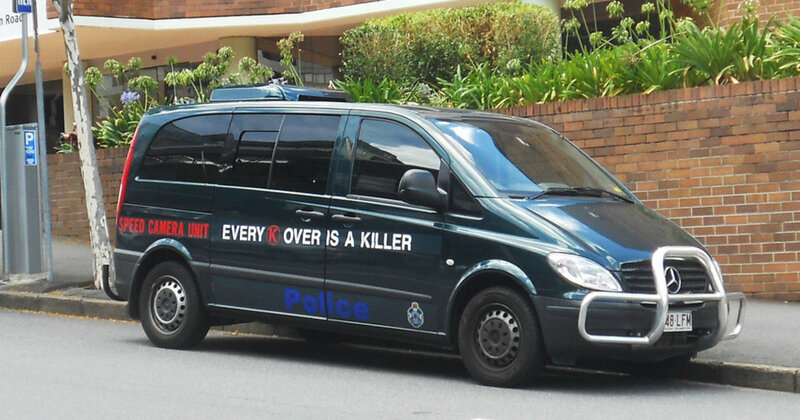 Operation Lift was a three day Queensland Police Service operation on the Gold Coast. That operation stopped more than 60 4WD vehicles and included an education and engagement component. Infringement notices were issued for defective vehicles or illegal modifications, while other offences including drug driving and speeding. This operation was not about enforcing new laws as no new laws had been introduced. Vehicle lift modification requirements are covered by the Queensland Code of Practice (QCOP). The codes which specify lift requirements are being reviewed. There has been a facebook post doing the rounds about a near new NSW registered Hilux being defected in QLD for its tyres. 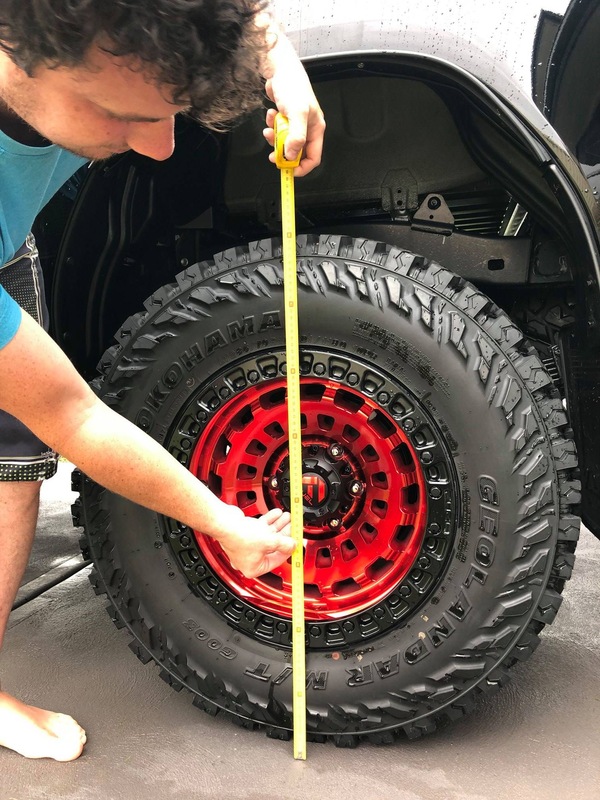 Now I'm not trying to be a wowser but if the largest size tyre on a Hilux is 265/65R17 (Rugged X toyota spec) then 285/70R17 is 7.2% taller as claimed by QLD police and is not legal in NSW. A tape measure doesn't cut it in the real world, hay I can make 35" tyres into 33"s if I let enough air out .